Buy Organic Apple Juice, Oro Molido, 67 fl oz, 200CL glass bottle. Organic juice origin from cultivation to packaging through the collection, drawn from start to finish organically, with all the flavors and nutrients of fruits and vegetables. Buy Organic Orange Juice, Oro Molido, 67 fl oz, 200CL glass bottle. Organic juice origin from cultivation to packaging through the collection, drawn from start to finish organically, with all the flavors and nutrients of fruits and vegetables.  Buy Organic Tomato Juice, Oro Molido, 67 fl oz, 200CL glass bottle. Organic juice origin from cultivation to packaging through the collection, drawn from start to finish organically, with all the flavors and nutrients of fruits and vegetables. 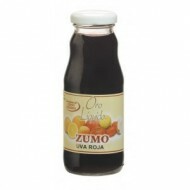 Buy Organic Red Grape Juice, Oro Molido, 67 fl oz, 200CL glass bottle. Organic juice origin from cultivation to packaging through the collection, drawn from start to finish organically, with all the flavors and nutrients of fruits and vegetables. Buy Organic Orange Juice, Oro Molido, glass bottle 35 oz 1l. Juice organic origin from cultivation to packaging through the collection, drawn from start to finish organically, with all the flavors and nutrients of fruits and vegetables. Buy Organic Pineapple Juice, Oro Molido, glass bottle 35 oz 1l. Juice organic origin from cultivation to packaging through the collection, drawn from start to finish organically, with all the flavors and nutrients of fruits and vegetables. Buy Organic Apple Juice, Oro Molido, glass bottle 35 oz 1l. Juice organic origin from cultivation to packaging through the collection, drawn from start to finish organically, with all the flavors and nutrients of fruits and vegetables. Buy Organic Oat Drink, Vegetalia, 35oz 1L container. Organic oat drink made with water Montseny Oats, salt and canola oil. This oat drink contains no lactose, no egg, gluten and sugar. The oat drink can be a great alternative to milk. Buy Chocolate Oat Drink Ecological Naturgreen, 1L container. Bio oat drink made with cocoa sunflower oil, carob flour, oats and cocoa amongst others. 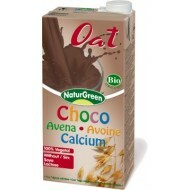 This drink organic oatmeal with cocoa contains no lactose, no eggs and no added sugar. The oat drink can be a great alternative to milk. 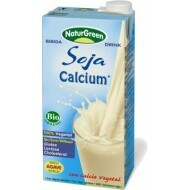 Buy Calcium Organic Soya Drink, Naturgreen, 1L container. Soya Drink made with organic soybeans, seaweed, natural vanilla flavor among other ingredients. 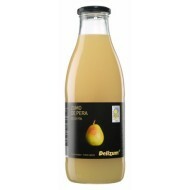 This soya drink is rich in calcium, contains no lactose, no egg, gluten and sugar. 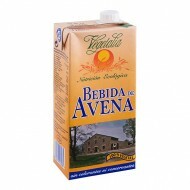 The soya drink can be a great alternative to milk. 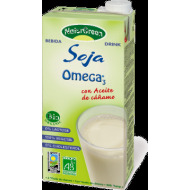 Buy Omega3 Organic Soya Drink, Naturgreen, 1L container. Soya Drink high in Omega3 thanks to hemp oil made from soybeans, seaweed, natural vanilla flavor among other ingredients. Soya Drink It contains no lactose, no egg, no gluten. The soya drink can be a great alternative to milk. 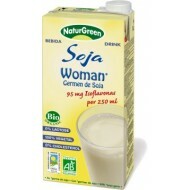 Buy Organic Soya Drink Woman, Naturgreen, 1L container. It contains lots of isoflavones. This Isoflavones are natural phytoestrogens in pre and postmenopausal period are as necessary for women, so it is recommended to take two glasses of this organic soya drink.